The following interview appeared in 2004 in a Special Edition of Take One Magazine. Northernstars.ca acquired the archives of Take One in 2007. The interview begins with Atom Egoyan talking about his background. 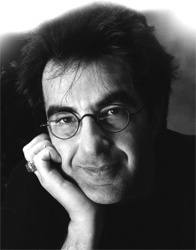 ATOM EGOYAN: I was born in Cairo and my family moved to Canada when I was two. My parents were both painters and had met at art school in Egypt. My father was really a prodigious young artist. He had his first show when he was 16. On the basis of that he got a scholarship to the Art Institute of Chicago, the first person from Egypt to get a full scholarship. He went to Chicago at 18 and was introduced to abstract expressionism. It completely transformed him. He came back to Egypt and had a show of abstract expressionism, but not one piece sold. He was disappointed in the community`s conservative response, so when he moved to Canada he wanted to be as far away from the Armenian community as he could. All my relatives had moved to Montreal; instead, my parents decided to head west. They wanted to strike out on their own, so they went to Victoria, where my father got an opportunity to take over a small business. Back in Cairo my parents had run a small art gallery called Ego Arts. They had tried to keep it going as a gallery, but it became a showcase for modern, original furniture instead. When they took over this small business in Victoria, they also tried to make that work as an art gallery. It was one of the first private galleries in Victoria to show works by people like Maxwell Bates, a Calgary-based artist who worked in the German Expressionist school and did really interesting work. That gallery didn’t work either, so it also became a furniture store. It was small store and, again, they were the first to have modern, Scandinavian-style furniture on Vancouver Island. My father continued to paint and he had a show in 1970 at the provincial museum called Birds, which was paintings of dead birds. It completely scandalized Victoria at the time. They were meticulous, expressionistic drawings of dead birds, and it didn’t go over too well. But as a 10-year-old, I was very impressed by the energy of the show, being in the gallery and seeing my dad`s work, seeing people angry with the work and resisting it. That left a huge impression on me. WYNDHAM WISE: With such a wonderful artistic background, was it always your sense that you would be involved in the arts? A.E. Yes, but at an early point I became attracted to the idea of theatre. I had a really good teacher in my school who wrote and directed plays. He created a huge impression on me. I realized that was something I wanted to do and I still love the idea of theatre. I was in-volved with writing a play in grade five with this teacher and then I started to write my own plays. There was a drama festival in Victoria, and I started by presenting plays there that I wrote myself. This was around grade eight. I wrote a play called The Fool`s Dream and one called The Doll. The adjudicator at the drama festival talked about the theatre of the absurd and I went out and got the Martin Esslin book, The Theatre of the Absurd, and it changed my life. I remember really clearly reading this book and being so excited. Reading about Ionesco, Genet, and Beckett, and laughing deliriously; it just conformed my world view, this and Monty Python`s Flying Circus, which was just being broadcast in Canada. British absurdist humour had a huge influence on me. A.E. I saw the films that everyone else saw. I remember going up-island to a really tough town called Ladysmith, famous as the birthplace of Pamela Anderson, and watching Dirty Harry. It was one of those formative experiences because there was such a degree of male-volence in the theatre. You could really sense that people were really getting off on it. I remember that movie, but I didn’t really have a film education until I came to Toronto. In my first year of university I was writing theatre reviews for The Newspaper, which was the alternative campus paper to The Varsity. I was the theatre editor during its first year. I came to Toronto in 1978 because I was studying classical guitar in Victoria, and I was semi-serious about it. I was also intrigued by the notion of becoming a diplomat. There were a number of my friends in Victoria whose parents were external-affairs types and I loved the whole atmosphere. They were from the generation of Lester Pearson, when Canada had a major role in the formation of the United Nations. Anyway, I came to Toronto to pursue many things. Vancouver was a place to go for rock concerts, but if you were raised in Victoria, it wasn’t far enough away and Montreal wasn’t an option. Theatre was my big thing, and in the Victoria Public Library there was a section of Canadian plays by Hrant Alianak, Ken Gass, David Freeman, and Carol Bolt. 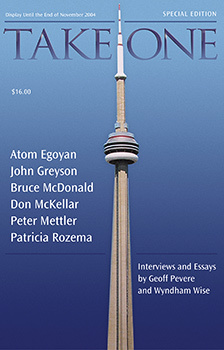 I really wanted to come to Toronto because there was mythology around the Toronto theatre scene in the 1970s. There was also a great classical guitar teacher here, Eli Kassner, who had taught Liona Boyd. So I came to study with Kassner and international relations at the University of Toronto. W.W. You enrolled in Trinity College, probably the most tradition-bound college on campus. A.E. I had no idea what Trinity College meant. It was a small college that specialized in international relations, and I had no idea what I was getting into. So when I arrived, and on the first day I saw all these caps and gowns, it was like another world to me. I had gone to a private school up to grade nine and then I went to this quite rough high school, Mount Doug, so I was aware of both social milieu. Still, it was a shock coming into Trinity College. But it was something I also embraced, because they had a really good theatre department, the Trinity College Dramatic Arts Society. It was very WASP, although some of my best friends were outside of that culture. 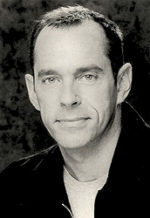 One was Doug Cooper, who later wrote Amnesia and Delirium. I remember at one point one of the guys, who was running for college president, came up to me when I was having a Christmas dinner. He said to me, ‘Egoyan, this is a Christian ceremony, I don’t care how you did it in Armenia.’ I remember that really rattled me. He was in competition for a Rhodes scholarship, so Doug and I made up a satirical poster endorsing his candidacy from the members of the Armenian-Jewish community. W.W. You have often talked about the influence of theatre on your work. Is there a particular playwright who you admire or has influenced your work? A.E. I was using technology to manipulate memory, to provide an alternate sense of experience, and to confront what our sense of experience is, both enhancing and trivializing it. All those issues are in Howard, and inherited from Beckett. Beckett`s film, Film, the one he did with Buster Keaton, left a huge impression on me. Beckett takes it to the ultimate extreme and he is very funny about it. If all avenues of perception are blocked off, self-perception remains. That`s a profound idea. As primitive as it is, it`s an incredible film. 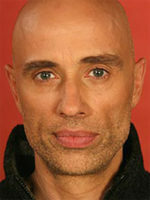 And, of course, the most amazing and underrated Beckett work is Eh Joe, which is never seen. It`s basically a man in a room remembering a relationship and the camera moves inexorably toward the man`s face. You hear the voice of a woman, who is haunting him, and the camera is moving toward him. Whenever the voice stops, the camera pauses. When the voice starts again, the camera moves right into the man`s face. That`s an incredible piece of work. It`s just not seen, for whatever reason, and you can’t perform it on stage, but I think it is one of the most stunning cinematic gestures. W.W. If your interest was the theatre, why did you turn to film? A.E. I shot my first film after I proposed a play to the Dramatic Arts Society, and they turned it down. That really pissed me off, so I decided to film it. That was done through the Hart House Film Board, which had a Bolex, an Arriflex, and a movieola. In my second year at Trinity, I covered the Toronto Festival of Festivals. I would write about Canadian films such as Michelene Lanctôt`s L’Homme à tout faire, which was a big influence, and the films of David Cronenberg and Jean Pierre Lefebvre. He was also a huge influence. I began to go to the repertory houses around town, Cinema Lumiere, and the New Yorker on Yonge Street, which showed a lot of Bergman and Fassbinder. There was a fabulous AV Library in the basement of Sigmund Samuel building on St George Street. I spent a lot of time in the basement of Sig Sam watching 16-mm prints of Red Desert and other classics. Continue reading Part 2 of this interview.